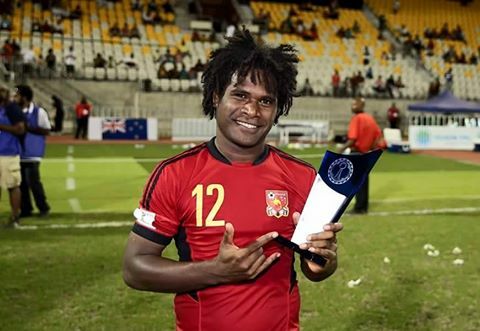 The Papua New Guinea senior men’s football team will have a busy schedule this year as they prepare to qualify for the FIFA World Cup Russia 2018. Assistant Coach Reginald Davani has put a 23 man train-on squad that will be in camp in Port Moresby by the end of the month to get underway with their preparation for the Oceania’s path to Russia. The squad includes 16 former and current players plus 7 new players. The 16 former players who were retained are: Ismael Pole, Roland Bala, Emmanuel Simon, Jacob Sabua, Otto Kusunan, Raymond Gunemba, Alwin Komolong, Felix Komolong, Philip Steven, Patrick Aisa, Ronald Warisan, Leslie Kalai, Daniel Joe, David Muta, Michael Foster and Nigel Dabinyaba. Assisatant coach Reginald Davani said he is still waiting for the confirmation from 6 more players and also hoping to add to the list, 2-3 more players that have been identified from abroad. One of those players is from the Australian A-League. With so much at stake, the start of a new phase of qualifying will see Papua New Guinea lining up in group B against Tahiti and Solomon Islands. PNG kick off their campaign on March 20 and 28, in a home and away match against Tahiti. Player waiting for confirmation: Tommy Semmy, Koriak Upaiga, Wira Wama, Kenneth Pilailo and Giwi Simon.